Joao Havelange, former FIFA president, was paid huge sums in bribes by collapsed marketing company ISL, court documents have revealed. Joao Havelange received at least 1.5 million Swiss francs and executive committee member Ricardo Teixeira at least 12.74 million SFr. The Swiss prosecutor’s report, published by FIFA, reveals the pair may have received up to 21.9 million SFr. They are the only two FIFA officials named in the report. The papers were released to five media organisations and detail the court settlement which closed a criminal probe of the ISL case in May 2010. In November 2010, it was alleged that three senior FIFA officials, including Ricardo Teixeira, took bribes from Swiss-based ISL in the 1990s, though commercial bribery was not a crime in Switzerland at the time. The documents concerning Joao Havelange also revealed that officials repaid 5.5 million Swiss francs to end the prosecution office’s investigation on condition their identities remain secret. FIFA president Sepp Blatter said in October 2011 that he wanted to release the ISL dossier, despite his organisation seeking to deny access to its contents at the same time. “FIFA is pleased that the ISL non-prosecution order can now be made public,” FIFA said in a statement. 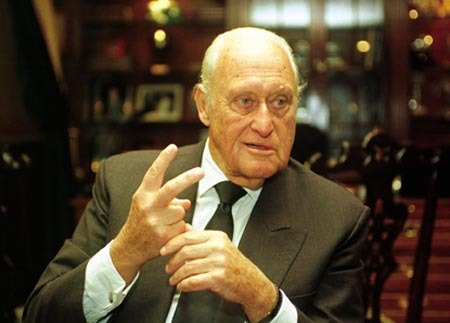 Joao Havelange, now 96, was FIFA president for 24 years before being succeeded by Sepp Blatter in 1998. The Brazilian, who remains FIFA’s honorary president, has been treated extensively in a Rio de Janeiro hospital this year for septic arthritis. Joao Havelange resigned his 48-year International Olympic Committee membership, citing health reasons, in December, days before the Olympic body was due to sanction him following its own investigation into wrongdoing connected to ISL. Ricardo Teixeira, Joao Havelange’s former son-in-law, this year resigned as head of Brazil’s football federation and the 2014 World Cup organising committee, and gave up his FIFA executive committee seat, citing unspecified health and personal reasons.